Call Now For Our Spring and Summer Specials! (216) 575-8774. Are pests overtaking your home? Is your Cleveland home overrun with horrible bed bugs? Our professional bed bug exterminators at Budget Pest Control will rid your home of ants, bed bugs, bees, and other horrible creatures that have forced themselves into your home. We have over 17 years of experience in the pest control business. Cleveland residents choose us to rid their homes of pests because we have the expertise and drive to get the job done. No task is too small for us. Since we’re a small, family-owned business that cares about each customer, every job is fulfilled with your best interest in mind. We will ensure that every job is completed safely, yet quickly. In the case of ant removal, we will use safe-bait insecticide methods to rid your home of these creatures. Our professionals are the people to call when you have a bee problem. Don’t tackle that nest on your own. Putting yourself at risk of getting stung is easily avoidable. We want to use our skills to make your home safe and bee-free. Bed bugs are truly the most annoying pests of them all. These pests are dangerous and hardy. You can’t just wish bed bugs away. Budget Pest Control has years of experience removing bed bugs from Cleveland homes. You and your family will be rid of living alongside bed bugs after our professionals take care of the problem. From ant removal to bed bug removal, we, at Budget Pest Control, are here to help you. We’re a family-owned business with a passion for helping the Cleveland area rid their homes of pests. Our track record speaks for itself. 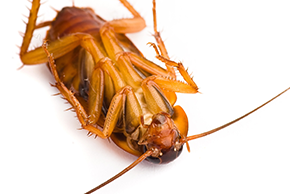 For years, our technicians have kept up-to-date on the latest and safest pest removal methods. Your safety is our top concern. When we come to your home for pest removal services, we will only use the safest chemicals and equipment. We’ll take every precaution possible. We’re a licensed, insured company that takes its craft seriously. Call us today if your home needs pest removal services.